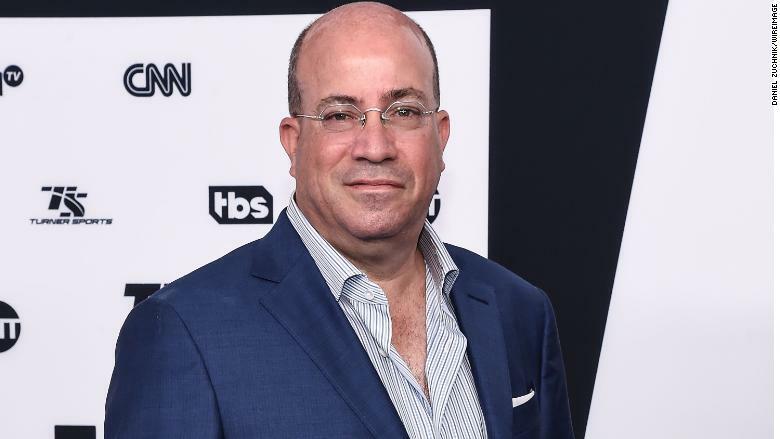 Is there a chance Jeff Zucker could jump from one iconic media brand, CNN, to another, ESPN? On Friday night, that question suddenly caused a lot of media industry chatter. ESPN president John Skipper abruptly resigned one month ago, and Disney CEO Bob Iger is actively searching for Skipper's successor. Zucker, who is currently the president of CNN Worldwide, is one of the possibilities, according to three sources familiar with the matter. Two of the sources cautioned that there have not been any formal talks between Zucker and Iger. Disney is said to be considering both internal and external candidates for the job. A Disney spokeswoman declined to comment Friday night. In response to questions, CNN spokeswoman Allison Gollust said, "Jeff loves his job at CNN, and has no interest in running ESPN." The media industry speculation was sparked by a story on Deadline.com titled "CNN Boss Jeff Zucker Eyed By Disney For Top ESPN Job." The story said "multiple sources close to Zucker confirmed to Deadline that he has had conversations for the top job at the sports giant." Multiple sources confirmed this to CNN, but disagreed about whether Zucker had initiated the talks, or merely answered Disney's call. The Hollywood Reporter said "Zucker has thrown his hat in the ring." Deadline's story, written by Nellie Andreeva, initially said "I hear that he met with Disney chairman and chief executive officer Bob Iger last week." But that sentence was later cut from the story. Multiple sources denied to CNN that there's been any in-person meeting between Zucker and Iger. Zucker, who ran the "Today" show in the 1990s and went on to become the CEO of NBC Universal, became the president of CNN Worldwide in January 2013. A larger-than-life figure in the television business, he is widely credited with boosting CNN's profile, ratings and profits, and supporting the network's journalists amid strong criticism from President Trump. Zucker is a sports junkie and a live-television expert, and he knows how to manage on-air personalities -- three key points for ESPN. AT&T is currently seeking to buy CNN's parent company, Time Warner. Trump's Justice Department sued to block the deal two months ago. A trial is scheduled to take place in March. There has been widespread speculation that the Trump administration is trying to punish CNN by challenging the deal in court. The White House and the DOJ have denied this. AT&T and Time Warner have said they will examine this possibility through the trial discovery process.